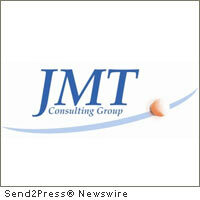 JMT Consulting Group will present “Easing the Reporting Process for Head Start Organizations” a complimentary online session that will cover quarterly ARRA reporting, GABI reporting, tracking Federal share and Non-Federal share, and automation of allocations of labor costs across departments, cost centers and other areas of the organization. Those interested in attending “Easing the Reporting Process for Head Start Organizations” can register via the JMT Consulting Group website (http://www.jmtconsulting.com/resources/events/) and have a choice of attending either on March 17, 2011 or April 21, 2011. JMT Consulting Group is a leading national provider of software and consulting services to Head Start organizations, charter schools, community healthcare, nonprofits and governmental organizations. With over 2,000 clients across the country, JMT Consulting Group offers a variety of services including hosting, business process improvement, implementation, system selection and system integration and a broad portfolio of software solutions including Sage MIP Fund Accounting, Intacct, Blackbaud FundWare, Sage Fundraising Online, Convio Common Ground, GiftWorks and Sage Fundraising 50 to help organizations become more effective in achieving their mission. For more information about how to improve your organization’s performance, please contact us at http://www.jmtconsulting.com . Original Keywords: Head Start Organizations, CEO Jacqueline M Tiso, quarterly ARRA reporting, GABI reporting, tracking Federal share and Non-Federal share, Sage MIP Fund Accounting, Intacct, Blackbaud FundWare, New York business news JMT Consulting Group Patterson New York PATTERSON, N.Y.
REFERENCES: New York Business News, Head Start Organizations, CEO Jacqueline M Tiso, quarterly ARRA reporting, GABI reporting, tracking Federal share and Non-Federal share, Sage MIP Fund Accounting, Intacct, Blackbaud FundWare, New York business news JMT Consulting Group Patterson New York PATTERSON, N.Y.